"Created separately after the fall of the Qadhafi regime, Ansar al-Shari’a in Benghazi and Ansar al-Shari’a in Darnah have been involved in terrorist attacks against civilian targets, frequent assassinations, and attempted assassinations of security officials and political actors in eastern Libya, and the September 11, 2012 attacks against the U.S. Special Mission and Annex in Benghazi, Libya. Members of both organizations continue to pose a threat to U.S. interests in Libya. Ahmed Abu Khattalah is a senior leader of Ansar al-Shari’a in Benghazi and Sufian bin Qumu is the leader of Ansar al-Shari’a in Darnah," a State Department spokesman declared in a a statement. 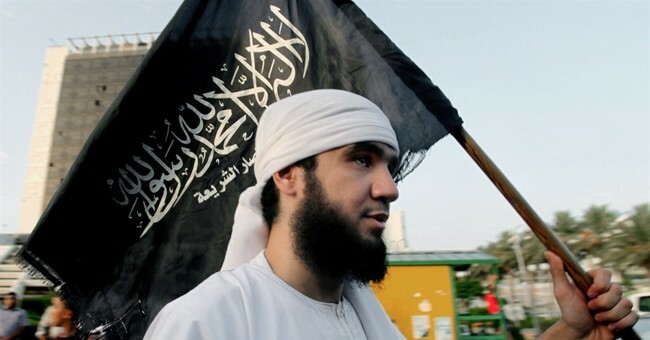 "The Department of State has announced the designations of Ansar al-Shari’a in Benghazi, Ansar al-Shari’a in Darnah, and Ansar al-Shari’a in Tunisia as separate Foreign Terrorist Organizations (FTOs) under Section 219 of the Immigration and Nationality Act and as Specially Designated Global Terrorist entities under section 1(b) of Executive Order (E.O.) 13224. In addition to these group designations, the Department of State has also designated Ahmed Abu Khattalah, Sufian bin Qumu, and Seifallah Ben Hassine, commonly known as “Abou Iyadh,” as Specially Designated Global Terrorists." According to prior reports and intelligence, these groups have ties to al Qaeda terror groups in the region. "The U.S. Government is committed to taking all appropriate actions against the organizations and individuals responsible for the attacks against the U.S. diplomatic facilities in Libya and Tunisia. We remain committed to working with the Libyan government to bring the perpetrators of the September 11, 2012, Benghazi attacks to justice and to ensure the safety of our personnel serving overseas. Likewise, we continue to urge the Tunisian government to bring to justice those responsible for the September 14, 2012 attack on the U.S. Embassy in Tunis," officials in the State Department assured.